While there’s still material coming out of the promotion tours in the United Kingdom ad France, the “Post” team is already attending the Italian promotion for the film. That’s what I call a comprehensive press tour. Today, they were at a press conference and photocall in Milan, after attending the Italian talkshow “Che tempo che fa” on Sunday. The full 53 minute interview can be watched in the video archive. 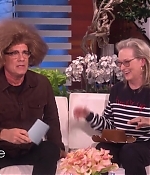 Also today, “Lorraine” aired an interview segment with Tom and Meryl. Everything has been added, either to the photo gallery or the video archive, so have a look at the latest additions below. After the London promotion and just squeezed in before visiting Italy, the “Post” crew has visited Paris, France on Saturday. First, there was a half-hour press conference, which can be watched in its entirity in the video archive. 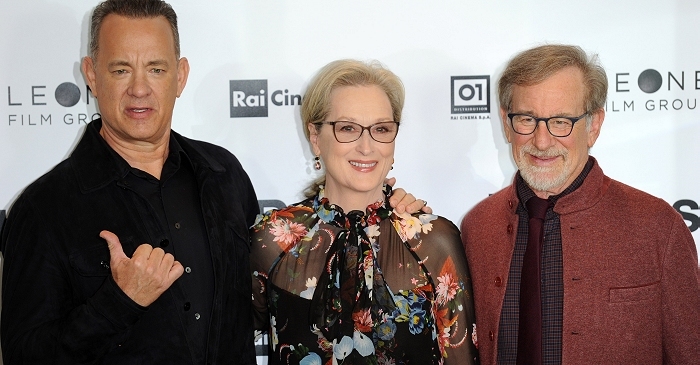 In the evening, Streep, Hanks and Spielberg gathered for the premiere at the Cinema UGC Normandie. Many thanks to Mouza for contributing many pictures. Lots of new video clips have been added to the archive. In case you have missed it, there are interviews from the Palms Springs Film Festival and the red carpets of the Golden Globe Awards and National Board of Review Awards. 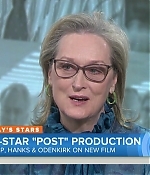 There’s also a new featurette on “The Post” including a newly taped interview with Meryl, as well as interviews with her and Tom Hanks on CNN’s Amanpour and ITV News during the UK promotion. A full video of the London press conference has been added as well. 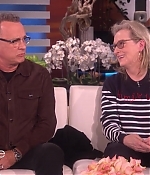 There seems to be bad news as well – as the Graham Norton Show has aired this evening, Tom Hanks was there but Meryl Streep was not. I don’t think she’ll appear next week instead, but I haven’t seen it yet so I don’t know if her absence was mentioned. 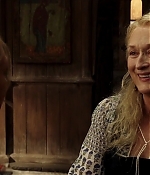 Nevertheless, these new clips should provide you with plenty of Meryl, so enjoy the new additions. 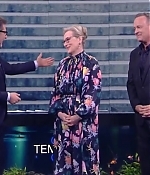 Earlier today, Meryl Streep and Tom Hanks were guests on “Ellen” to promote Friday’s theatrical release of “The Post”. They talked about the Golden Globes, Oprah Winfrey’s speech and played a little game of recreating each others most iconic roles – Forrest Gump, The Devil Wears Prada, Toy Story and The Iron Lady. Screencaptures have been added to the photo gallery. Tomorrow will see the London premiere of “The Post” and the taping of “The Graham Norton Show”, which will air Friday. 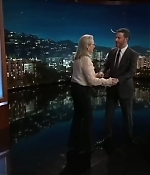 Yesterday, Meryl Streep was a guest on “Jimmy Kimmel Live” to promote the theatrical release of “The Post”. 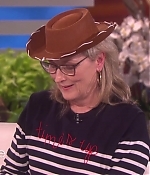 Among the interview’s highlights was Jimmy’s game to have Meryl list all of the films she has received an Oscar nomination for – her reaction to “A Cry in the Dark” is priceless – and she was nominated for the role. But see for yourself. Screencaptures have been added to the photo gallery as well. 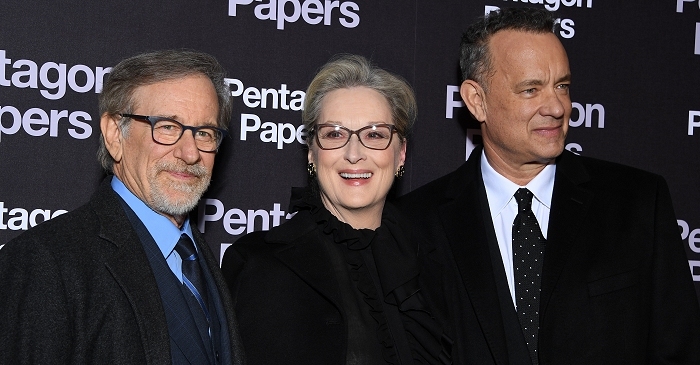 Yesterday, Steven Spielberg, Tom Hanks and Meryl Streep have attended the “The Post” screening as part of the 29th Annual Palm Springs International Film Festival’s opening night, as well as a Q&A on the film afterwards. Also yesterday, Meryl has participated in another Q&A, this time with for Facebook. You can watch it in the video archive. Then, two talkshow appearances have been officially announced for next week – The Ellen DeGeneres Show on January 09 and The Graham Norton Show on January 12, which will be taped on Wednesday, January 10, after the film’s London premiere. 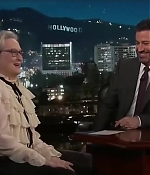 Thanks to Jamie for letting me know that Meryl will also attend “Jimmy Kimmel Live” on January 08. Finally, 20th Century Fox has released a new featurette on “The Post” with a focus on the women in front of and behind the camera, including lots of new bits of Meryl as Katharine Graham. Enjoy all the new additions. 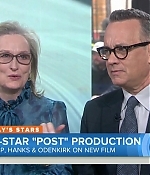 This morning, “Today” has aired an interview with Meryl Streep, Tom Hanks and Bob Odenkirk, which was conducted earlier last December. 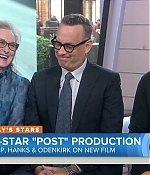 The three stars of “The Post” talked about the relevance of the film, its parallels to today’s society, and, of course, the Weinstein scandal and its impact on Hollywood’s change. The full interview can be watched in the video archive with high definition screencaptures being added to the photo gallery. 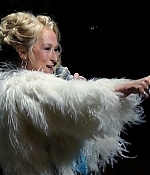 Universal Pictures has released the first trailer for next year’s “Mamma Mia! 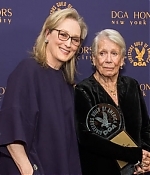 Here We Go Again”, and I’m sure many will be delighted at first and disappointed afterwards that Meryl Streep’s Donna Sheridan seems to be not playing a big part in it after all. But check for yourself and read the official synopsis below: Ten years after Mamma Mia! The Movie grossed more than $600 million around the world, you are invited to return to the magical Greek island of Kalokairi in an all-new original musical based on the songs of ABBA. 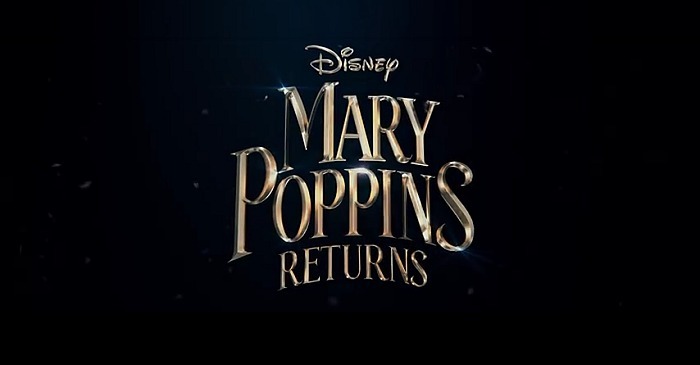 With the film’s original cast returning and new additions including Lily James (Cinderella, Baby Driver), the musical comedy will open on July 20, 2018. Mamma Mia! Here We Go Again is produced by Judy Craymer and Gary Goetzman, producers of the original film. Craymer is also the creator and producer of the worldwide smash-hit stage musical. Ol Parker, writer of The Best Exotic Marigold Hotel, writes and directs the sequel from a story by Catherine Johnson, Richard Curtis and Parker. Benny Andersson and Björn Ulvaeus return to provide music and lyrics and serve as executive producers. Tom Hanks, Rita Wilson, Phyllida Lloyd, Richard Curtis and Nicky Kentish Barnes also serve as executive producers. Reprising their roles from Mamma Mia! The Movie are Academy Award® winner Meryl Streep as Donna, Julie Walters as Rosie and Christine Baranski as Tanya. Amanda Seyfried and Dominic Cooper reunite as Sophie and Sky, while Pierce Brosnan, Stellan Skarsgård and Oscar® winner Colin Firth return to play Sophie’s three possible dads: Sam, Bill and Harry. As the film goes back and forth in time to show how relationships forged in the past resonate in the present, James will play the role of Young Donna. Filling the roles of Young Rosie and Young Tanya are Alexa Davies (A Brilliant Young Mind) and Jessica Keenan Wynn (Broadway’s Beautiful). Young Sam will be played by Jeremy Irvine (War Horse), while Young Bill is Josh Dylan (Allied) and Young Harry is Hugh Skinner (Kill Your Friends).